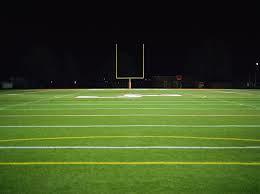 Amazing Grace on the Gridiron played out in a young man’s run to daylight in one of the classic stories ever told. 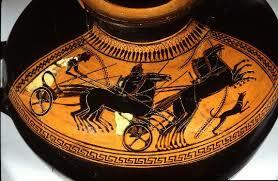 Homer’s 23rd chapter in the 2800-year-old poem The Iliad has no rival. As the western world’s oldest sports-writing, it set the standard for the timeless themes of competition, age vs. youth, victory and defeat and wisdom. Doc interviews S. Duncan Reid about his new book, Cal Tjader: The Life and Recordings of the Man who Revolutionized Latin Jazz, published by McFarland and Company, Inc., (2013) on the New Books Network. Duncan Reid has written a meticulously researched and detailed account of the performances and recording career of Bay Area-born and small group Latin-jazz innovator and vibraphonist Cal Tjader. 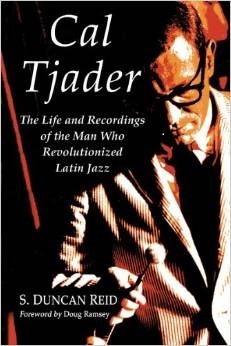 Tjader’s high-energy yet lyrical and melodic playing introduced new demographics of jazz listeners to the soulful sound of Latin jazz for four decades beginning in the 1940s and ending with Tjader’s untimely death at the age of 56 in 1982. Reid details Tjader’s uncanny ability to soak up ever-evolving stylistic and percussive nuances – and discusses his collaborations with and influences on other Latin jazz innovators such as Mongo Santamaria, Willie Bobo, Poncho Sanchez, Vince Guaraldi, Michael Wolff and many, many more. Doc will co-host ESPN Sports Radio 1340 AM, Eureka’s Northcoast Tonight Show with Tag Wotherspoon, 4:00 PM, Thursday, December 18, 2014. Doc and Tag will be talking about 2014 year in review and some of the books and movies in sport in the year 2014. Join Doc and Mary for their monthly classics literature show on the Humboldt Homepage. 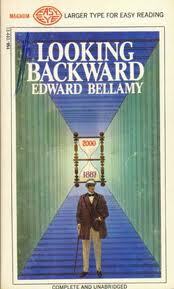 Doc and Mary will discuss one of the most popular books in the 19th century America, Looking Backward, published in 1888. Bellamy’s conversations about capitalism and society projected into the then distant year 2000 is a fascinating Utopian speculation into how we might live today. 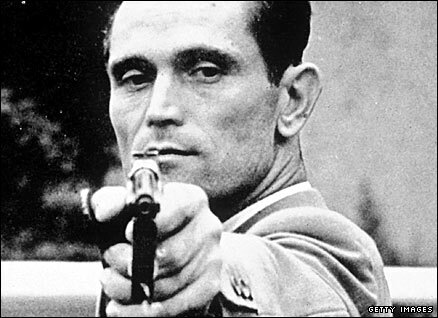 Art imitates life in one of the Olympic Games’ most astonishing and improbable stories – a seemingly impossible psychological and physical challenge to Hungarian pistol champion Takacs Karoly. After his first and only defeat in the ring, heavyweight boxing champion Gene Tunney salved his physical and mental anguish by pondering the pithy perplexities of Shakespeare’s retelling of the Iliad, Troilus and Cressida. 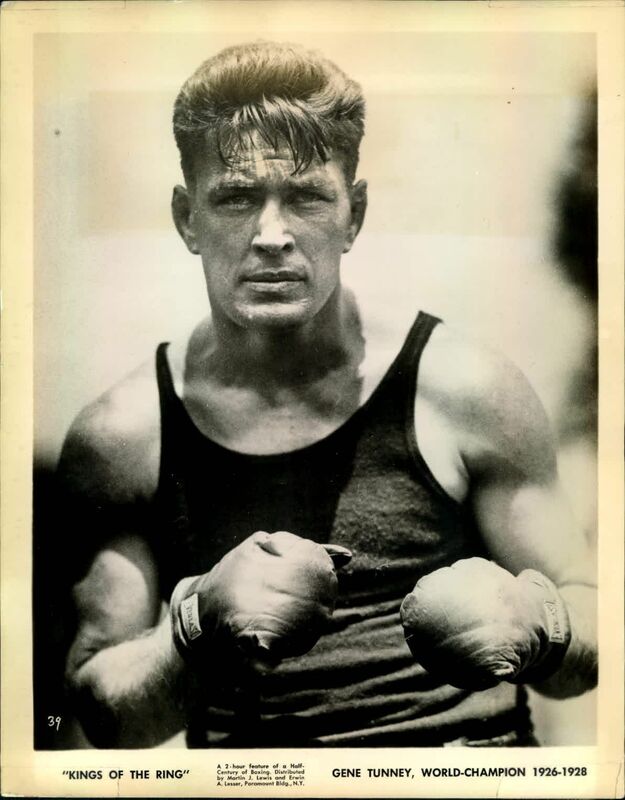 Lanky, literate, blessed with athletic and mental agility, uncommon self-possession, and artistic tastes ranging from Victor Hugo to Wagnerian opera, Gene Tunney was a pugilistic enigma. A marine corps boxing champion in WWI who after turning pro went undefeated as a heavyweight (his only loss came as a light-heavyweight), Tunney was knocked down only once in his career. He retired at age 31, married heiress Polly Lauder, and for the rest of his life pursued a variety of business ventures and the arts. Tunney, like F. Scott Fitzergerald’s Gatsby, was a remarkable self-created individual. Tunney’s heroic flaw, however, was that he wasn’t the champ the people wanted him to be – but what a fighter he was. What a man.